Solid stress on the brain due to tumors was recently studied. Solid stress refers to the physical pressure and strength utilized by the tumor. The Massachusetts General Hospital-led research revealed that some brain tumors can increase solid stress, especially with larger, solid tissue tumors through their research titled, “How does solid stress from brain tumors cause neuronal loss, neurologic dysfunction?”. These larger tumors push other surrounding brain cells, causing the stress on the healthy tissue. The findings show that this solid stress can cause neuronal loss and neurological dysfunction. Neuronal loss refers to the progressive loss of the function of the brain’s neurons. The neurological dysfunction refers to issues with how the brain processes. 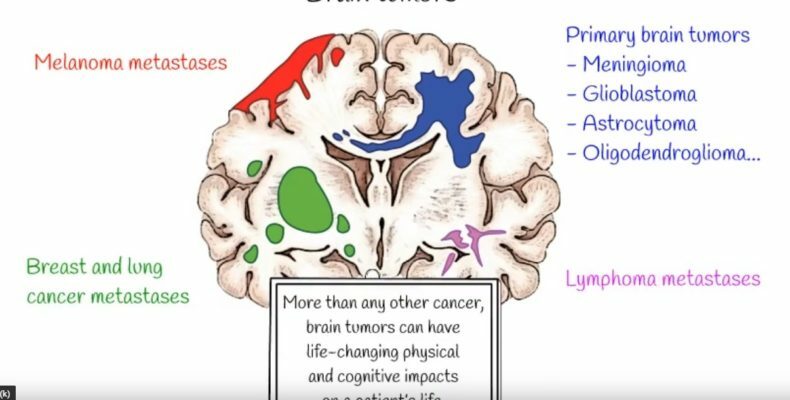 Studying glioblastoma cells, they have also found that single, more-defined mass tumors can cause stronger impressions on the brain than the infiltrative tumors, which expand around normal tissue. The study further examined ways to negate the pressure produced by the brain tumor to the normal brain. 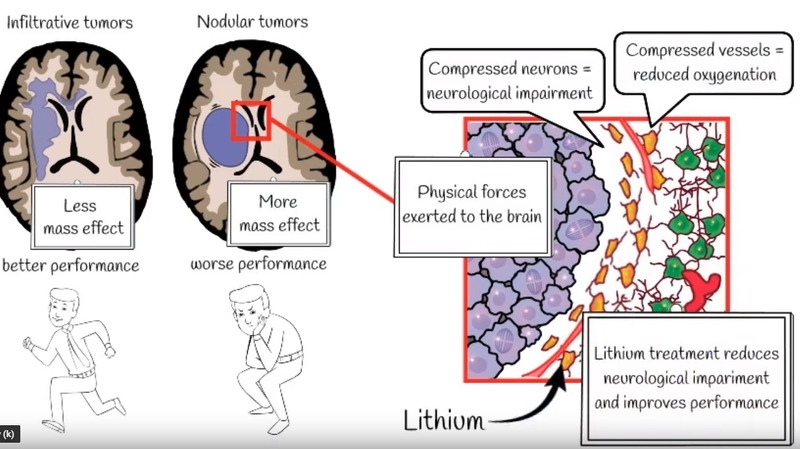 The researchers found that treating patients with Lithium could reduce the pressure from the tumor’s cells. After Chemo Treatment – Do You Have a Chemobrain? Keto Diets – Can They Help Diminish Cancer? Greg on Stem Cells in the Nervous System – Can They Repair Damaged Neurons? Paul on Stem Cells in the Nervous System – Can They Repair Damaged Neurons? Disclaimer: These statements have not been evaluated by the Food and Drug Administration. This product is not intended to diagnose, treat, cure, or prevent any disease. The Federal Food, Drug, and Cosmetic Act requires this notice.